The Edinburgh International Film Festival (EIFF) is an annual fortnight of cinema screenings and related events taking place each June. Established in 1947, it is the world's oldest continually running film festival. 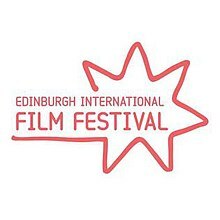 EIFF presents both UK and international films (all titles are World, International, European, UK or Scottish Premieres), in all genres and lengths. It also presents themed retrospectives and other specialised programming strands. The 2016 edition was the Festival's 70th. Spain will be the country focus in 2019. The 73rd edition of EIFF runs from 19 – 30 June 2019. The full programme will be announced on 29 May 2019. The International Festival of Documentary Films, a programme of documentaries, was presented by the Edinburgh Film Guild alongside the 1947 Edinburgh International Festival. At the time, Cannes and Venice were the most significant annual film festivals. Over the subsequent years, the programme expanded to include fiction films and experimental work in addition to documentary. In 2008, the film festival moved from its traditional August slot to June. The artistic director from September 2006 to 2010 was Hannah McGill, previously a film critic and cinema columnist for The Herald newspaper. Her predecessor, Shane Danielsen, served from 2002-2006., Tilda Swinton, Robert Carlyle and Seamus McGarvey are honorary patrons. In December 2009 Hannah McGill collected the prestigious Talkback Thames New Talent Award at the Women in Film and Television Awards. Following McGill's departure a new format was announced with no artistic director and a series of guest curators led by producer James Mullighan. The Festival returned to a more conventional format in 2012 under artistic director Chris Fujiwara, who stepped down in 2014. In 2014, the film critic Mark Adams was announced as Fujiwara's successor. Other key figures are CEO Ken Hay, Deputy Artistic Director Diane Henderson; Head of Industry and Talent Development Holly Daniel, Animation Programmer Iain Gardner, Shorts Programmer Lydia Beilby and Senior Programmer Niall Fulton. Edinburgh Filmhouse is the festival's home. The festival uses a range of other cinemas and venues across the city including Fountainpark Cineworld, Edinburgh Festival Theatre and the Odeon. ^ "Scotland Hosts the World's Longest Running Film Festival". Scotland.com. Retrieved 15 April 2010. ^ "WebFilmFest.com - Your Online Source for Film Festivals". WebFilmFest.com. Retrieved 15 April 2010. ^ "Filmhouse - Edinburgh International Film Festival". lastminute.com. Retrieved 15 April 2010. ^ "EIFF ANNOUNCES 2019 COUNTRY FOCUS". Edfilmfest. Retrieved 11 February 2019. ^ "Film Attractions. Big Programme of Documentaries". The Glasgow Herald. 23 August 1948. p. 2. Retrieved 20 February 2018. ^ "Edinburgh International Film Festival". Edinburgh-History.co.uk. Retrieved 15 April 2010. ^ Gillian Bowdtich (17 May 2009). "Hannah McGill: The Glamour Girl of the Pictures". The Sunday Times. Retrieved 15 April 2010. ^ Shane Danielson (10 August 2006). "Five Years' Hard Labour of Love". The Times. Retrieved 15 April 2010. ^ Tim Cornwell (28 April 2009). "Oscar Nominee is Edinburgh Film Festival's Latest Patron". The Scotsman. Retrieved 15 April 2010. ^ "EIFF Artistic Director Hannah McGill Wins Award at Women in Film and Television Awards". Filmhouse. 4 December 2009. Retrieved 15 April 2010. ^ Brian Ferguson (22 December 2010). "Film Festival promises big changes as new producer is announced". The Scotsman. Retrieved 27 December 2010. ^ Ferguson, Brian (16 December 2014). "Mark Adams to head up Edinburgh Film Festival". The Scotsman. Retrieved 20 February 2018. ^ "Edinburgh International Film Festival collaboration with jazz musician Tommy Smith OBE and the Scottish National Jazz Orchestra". Filmoria.co.uk. Retrieved 20 March 2019.